We have all read those ads which promise work from home opportunities to anyone looking to earn an income. Most of these ads offer false hope and promises which will never materialize. For those of you who love crafting and would love to earn some income from being creative. it will be a long road to prosperity. Far too many people give up on their creative dreams only to replace them with 'real work' because they become discouraged by their inability to produce enough quality items to turn a profit. The aim of this tutorial is to help you discover an easier way to make more quality items in the least possible time. 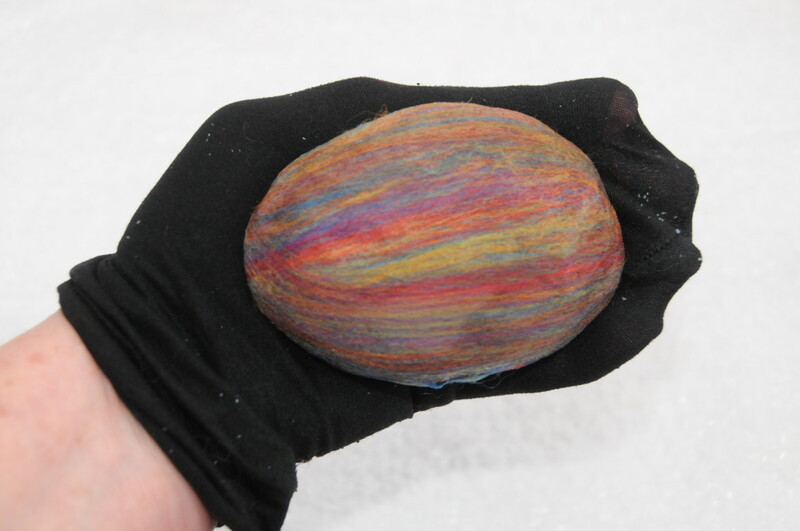 Wet felted soaps can look beautiful. but they should function perfectly as 'scrubbers' as well. To do this, the fibers need to be put down in a meaningful way which will produce the best results. This takes time, lots of it. 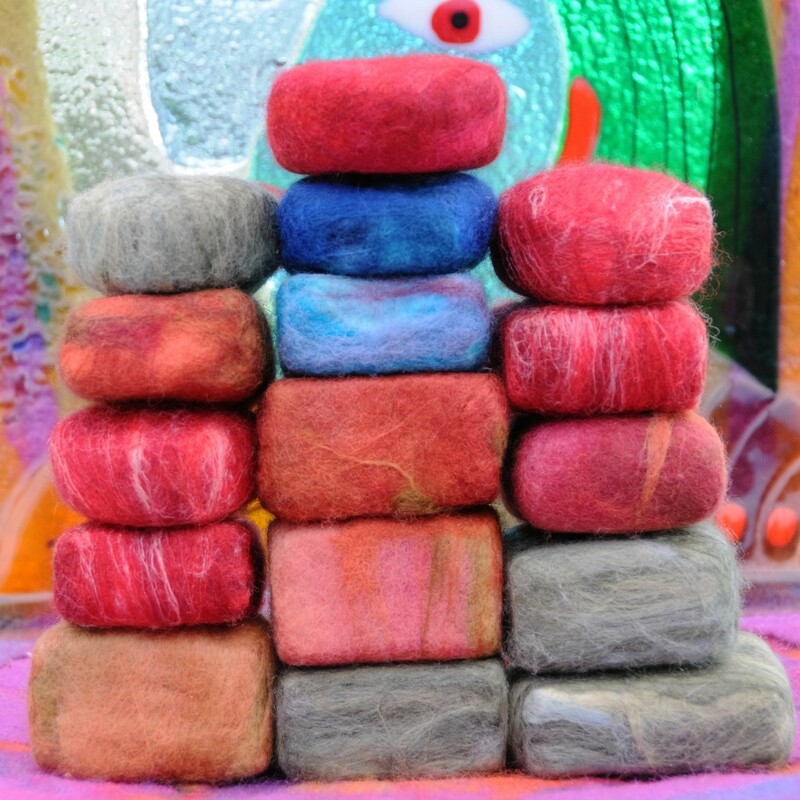 Felt making is not a quick process especially when one considers how much rubbing and rolling goes into it to making it. 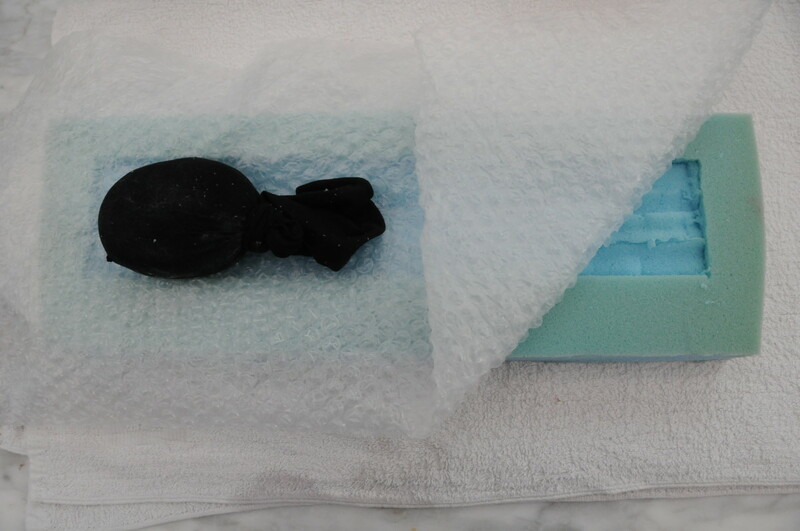 With this method which I created, you should be able to prepare multiple soaps in one sitting and then tumble dry them together at your leisure. 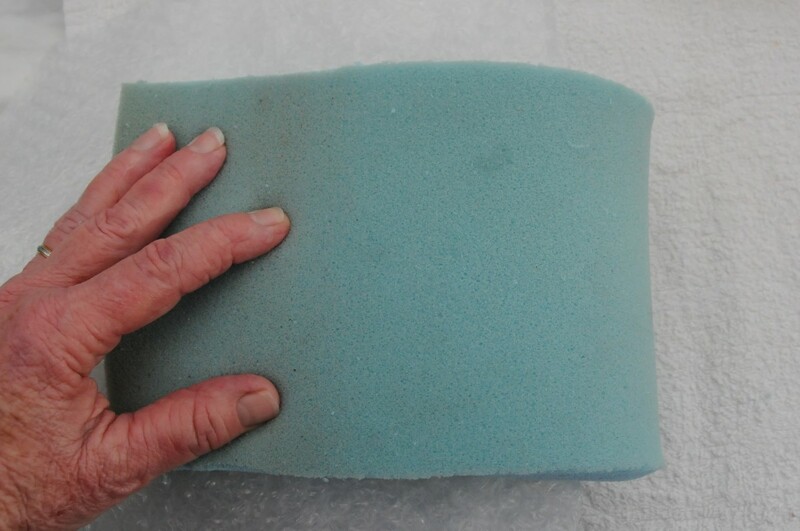 True, there will be some preparation required to make the little foam parcels but you may be able to source recycled waste foam which already has cavities which were cut into it from the manufacturing stage to cushion a product in transit. The beauty of my system is that these foam bundles will be used over and over again. 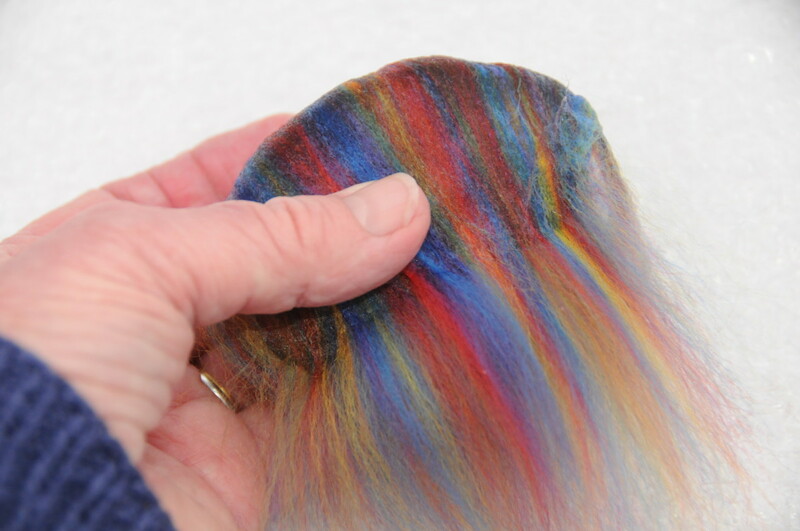 It is my hope that you will find this felted soap tutorial useful and that in time it will help lead you down a path to some genuine financial gain. You can sell them at craft fairs, on even from your own Etsy store. If not, give them to friends and family for Christmas or birthday gifts. These soaps make wonderful gifts which will likely be treasured or enjoyed. Dove Soap or other soap of your choice. 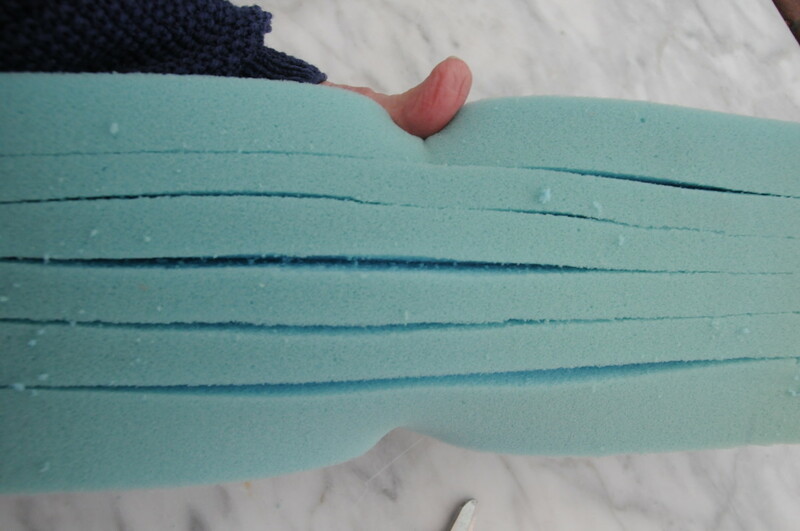 The foam should be about a minimum of 1 1/2 inches thick and not quite dense. Cut the Foam into 2 or 3 Lengths. 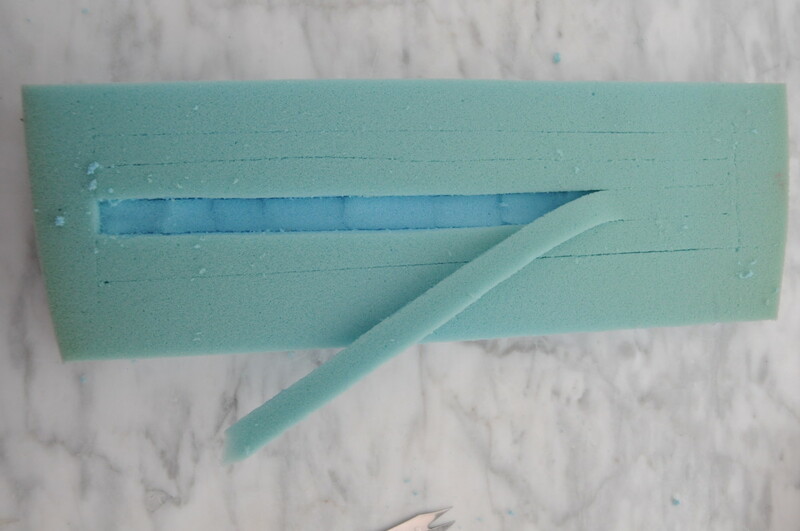 Place the soap on the foam and cut into the strip leaving a border of about an inch of each side. 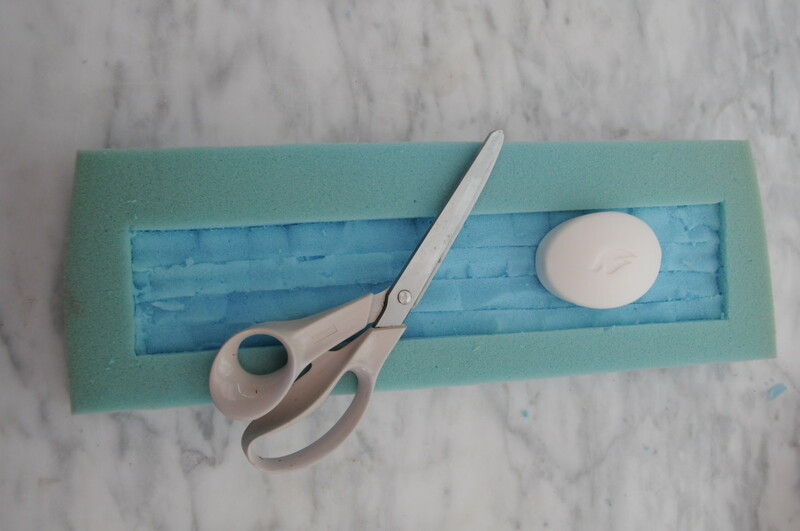 Cut the foam into two to three strips depending on the size of the soap. 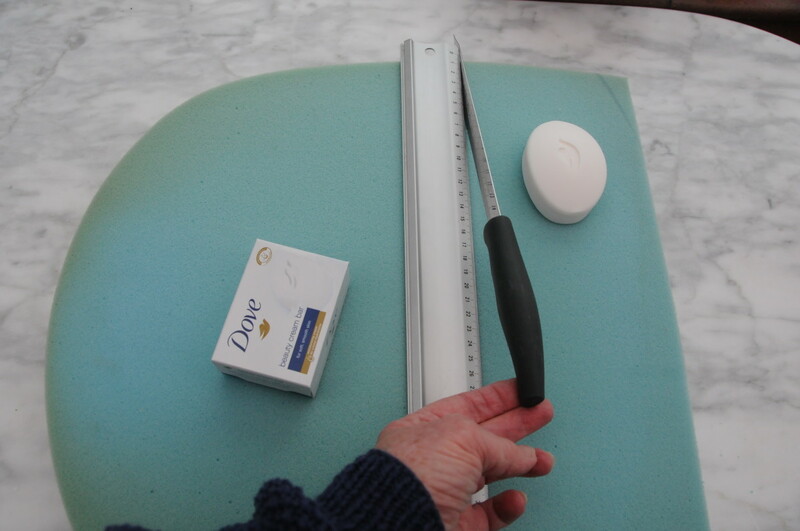 The metal ruler provides a strong line to hold the knife against for cutting purposes. 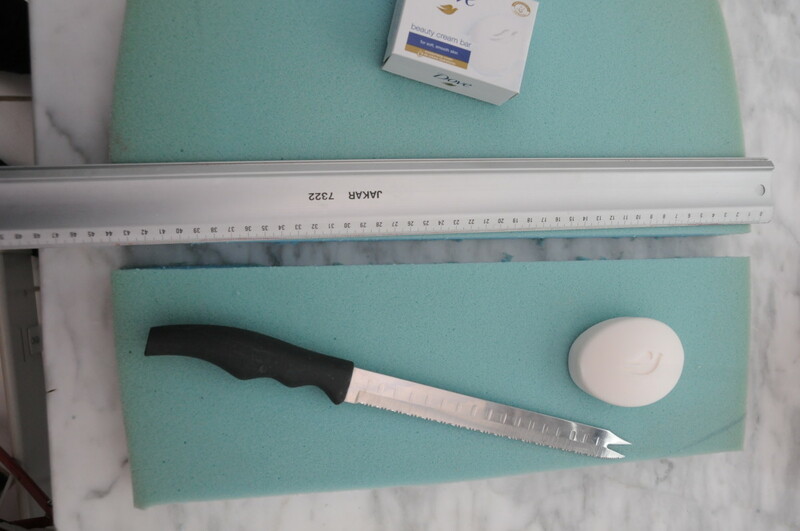 An electric carving knife can be used if you have one handy. 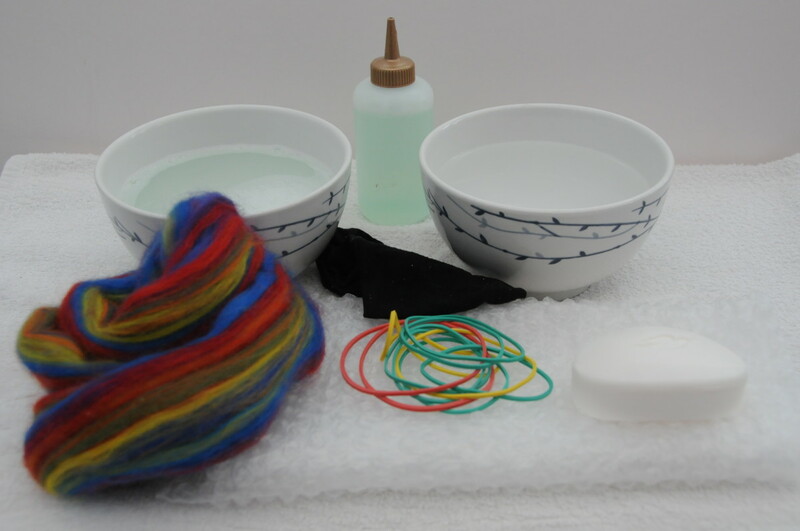 Please follow the instructions below for creating the wet felted soap. 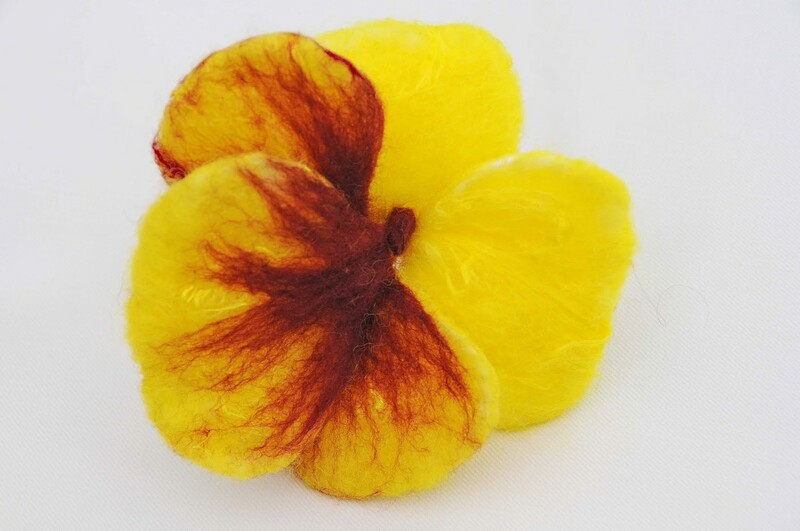 The felted soap will act as a loofah, shrinking as the soap shrinks leaving a handy scrubber behind. 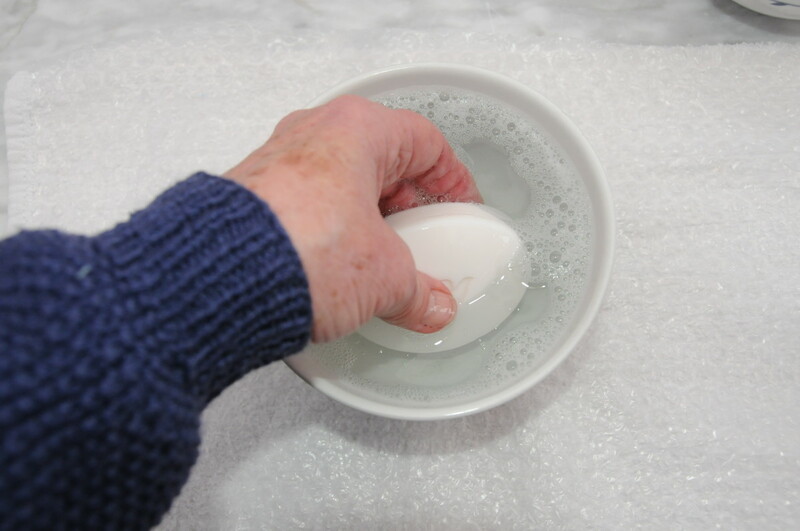 One needs very little soap with this tutorial as the soap will come through from the woolen fibers below. 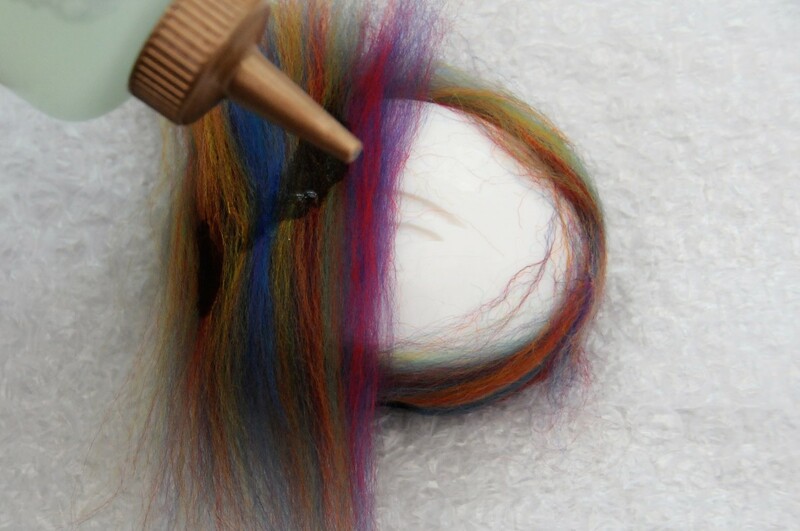 Place the fibers down carefully onto the soap. Drop a few drops of soapy water onto the fibers and smooth down with your fingers to ensure that they stick to the soap below. A note on the following Step. Unfortunately. 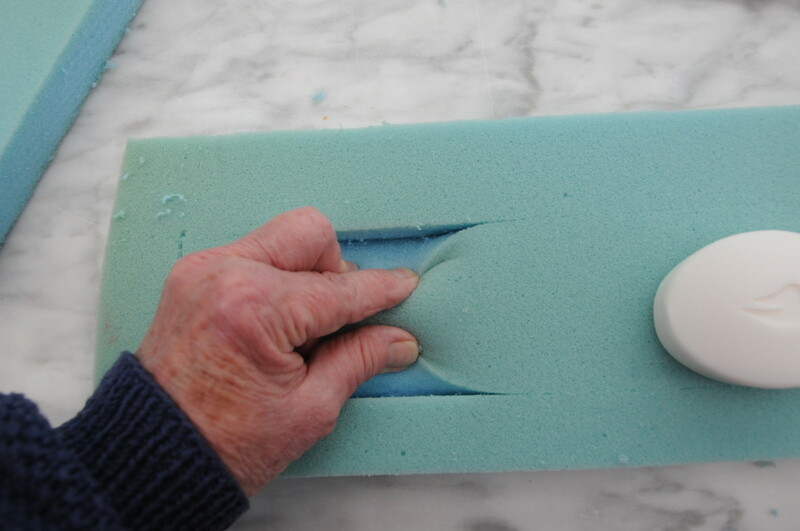 the foam can shed little pieces when it has been cut with a knife which is why I decided to cover the hollow in the foam with bubble wrap before placing the soap in the hollow. 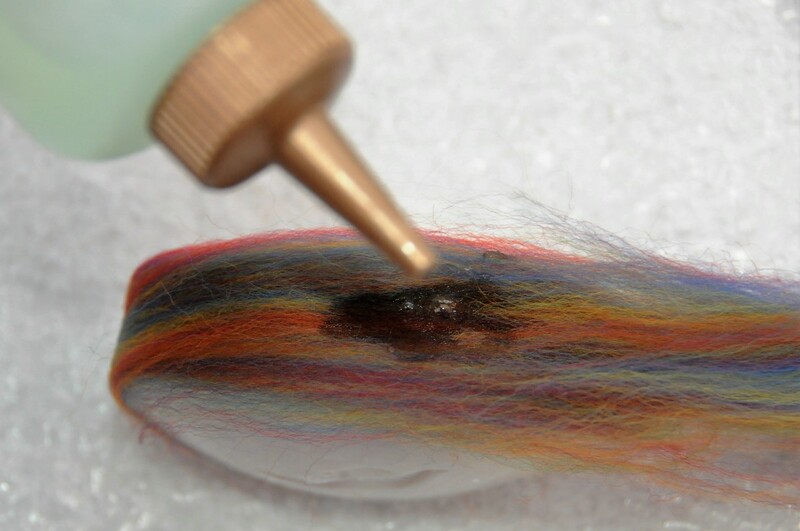 I would suggest that you pull a stocking leg over the length of foam after you have cut the hollow to prevent it from clinging to your wool fibers and leave it there. I used a small piece of bubble wrap to prevent any loose bits of foam from getting onto the covered soap. This was a preventative action as the soap is already covered in a piece of stocking. Please prepare all your soaps and then insert them into a tumble dryer at once. Better still, pop them into the dryer at with your laundry in the last stage of drying process to help conserve energy in order to make this project as cost effective as possible. The soaps should felt in about 10 - 15 minutes. 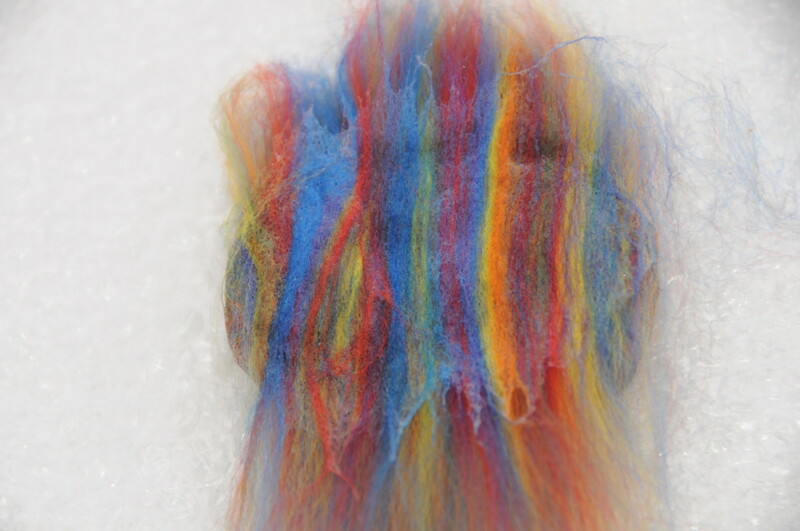 Check the contents of the dryer after 10 minutes and if the soap is not quite ready, continue felting for another 5 minutes. 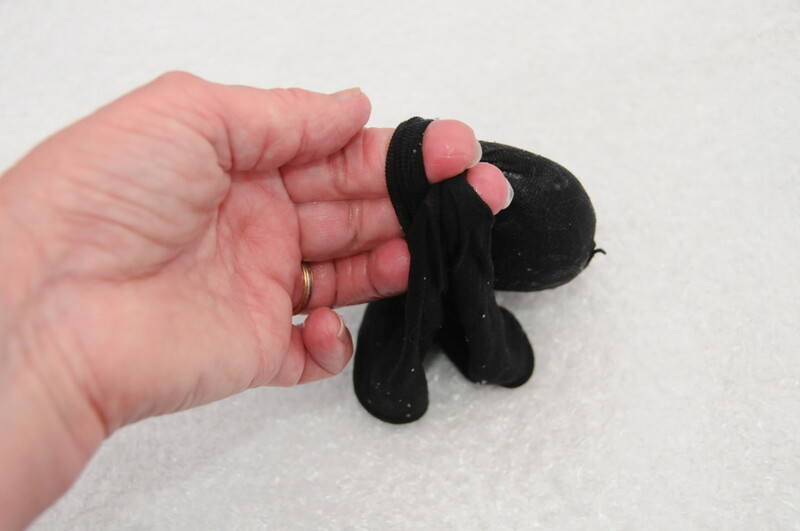 Check the contents of the stocking after 10 minutes by removing the soap from the stocking. If it has stuck to the stocking, gently tug the wool away. . 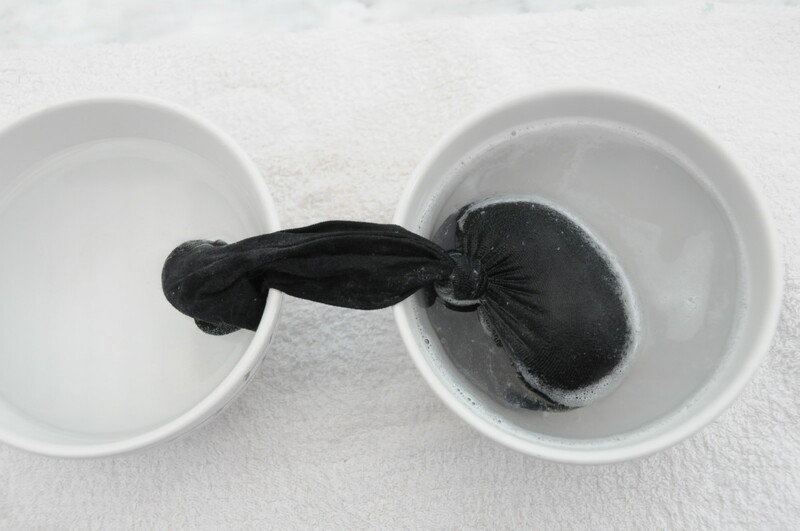 Put the soap back into the stocking, knot and plunge the soap into very hot water as shown and then into cold water. 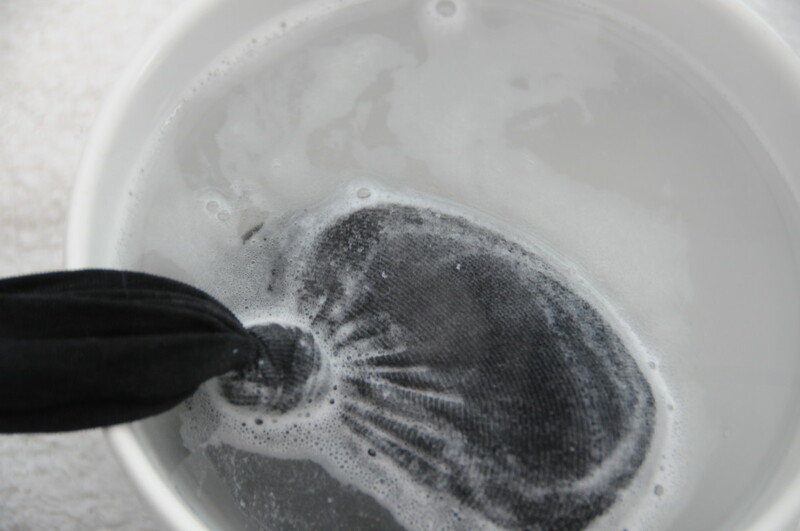 Repeat twice more, rinse under a cold tap, dry with a towel and put it onto a radiator to dry. I look forward to receiving any feedback or suggestions for any future projects which you might like to see. Have you tried this with handcrafted soaps? I do rebatch and melt and pour. 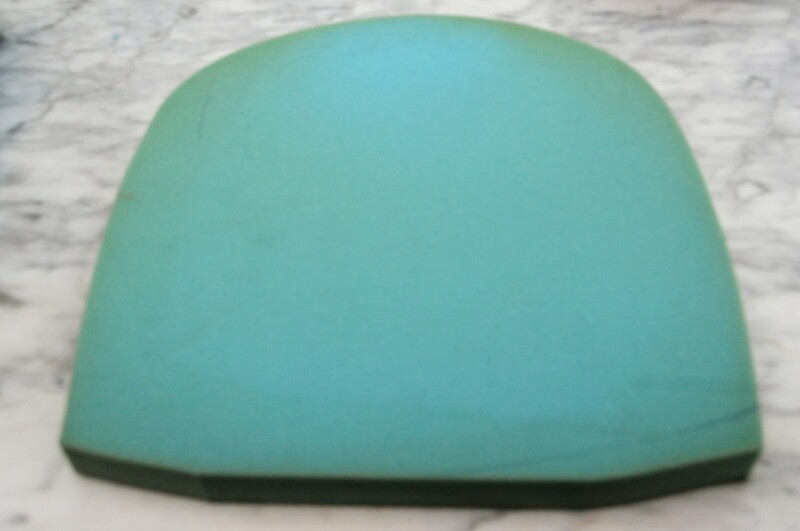 The latter is pretty soft compared to a hard milled or “store” soap. Do you have any ideas? I have only tried this with store-bought soaps but think that if you use the foam there should be no reason why they should not survive. Perhaps you could try an experimental batch. I see no reason why your 'special' soap won't work. I have used a lot of different kinds of soap and all were successful. I love to use quality soaps, especially those who give off a nice perfume when they are left in a soap dish in the bathroom:) I very much appreciate your very kind comments re this article. Thank you so much. Thank you! You are wonderful and also your ideas and projects. 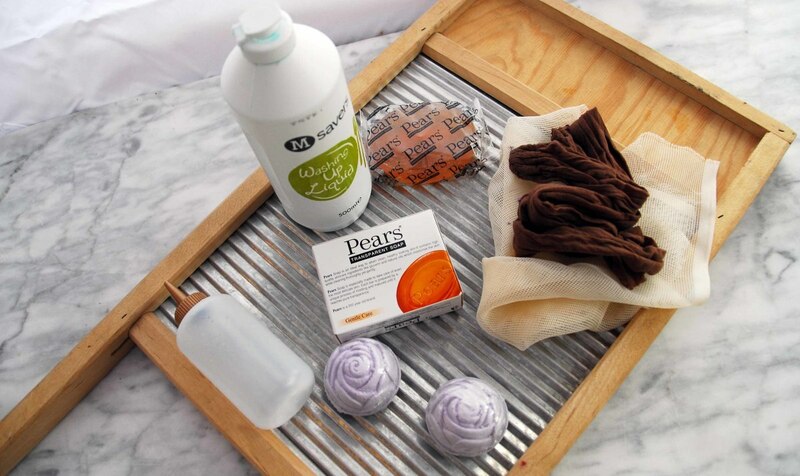 I'm going to do this tutorial with a special soap with pure lanolin will it be felted well? Would it be better to do it with another soap that does not have lanolin? 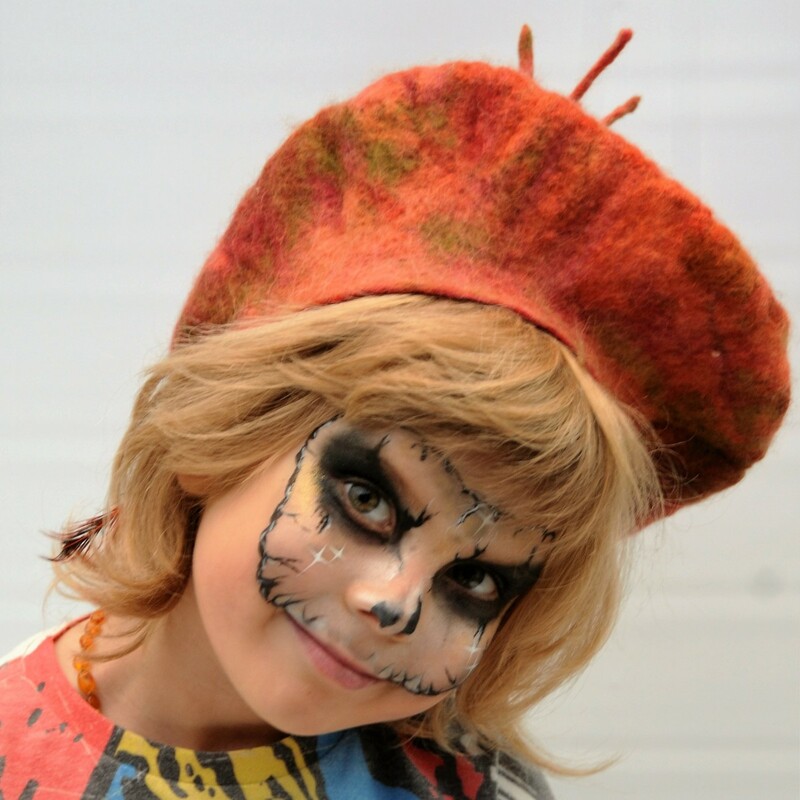 You can do more tutorials, you are very special and your way of seeing life I love it! It is my pleasure. I hope you won't give up. I love working with this medium. It is definitely not an exact science and can sometimes be a challenge but that is what makes it so interesting. 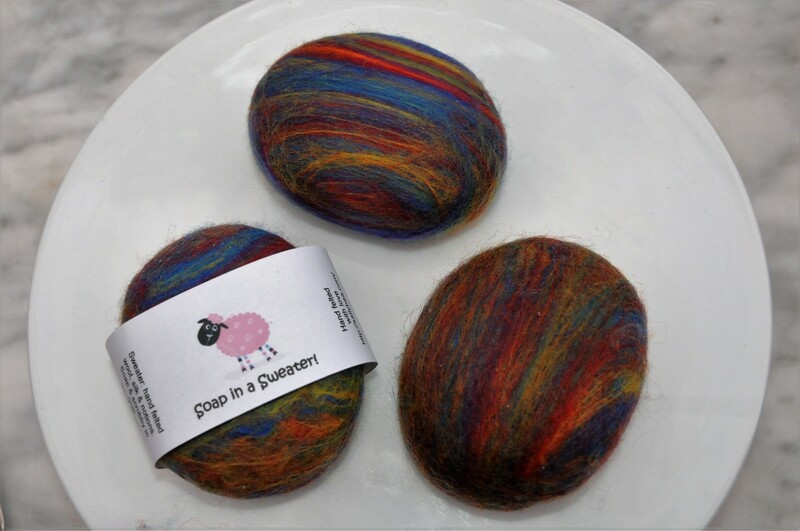 I almost always use Merino wool roving but it is possible that the wool you are using still contains a fair amount of natural lanolin which might prevent the soap from foaming. It may foam better as some of the lanolin in the wool is with time washed away. 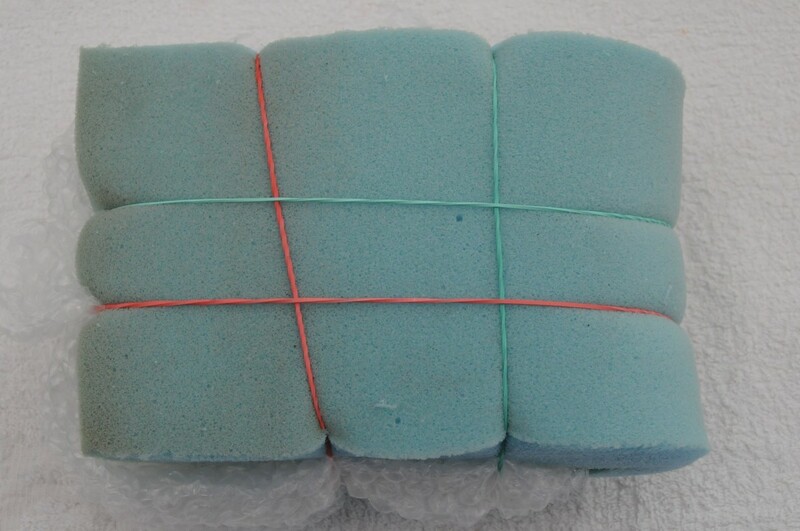 As I understand it the simple explanation for why certain soaps foam is that they contain chemicals called foaming agents but one needs a layer of water and air to create foam and the wool may be preventing it from doing that. I wish I could be more helpful but I can only suggest that you try a few different brands until you find one which you like. I think it might be your choice of soap, What type of soap are you using? I tend to use very good quality soaps which later pretty easily. 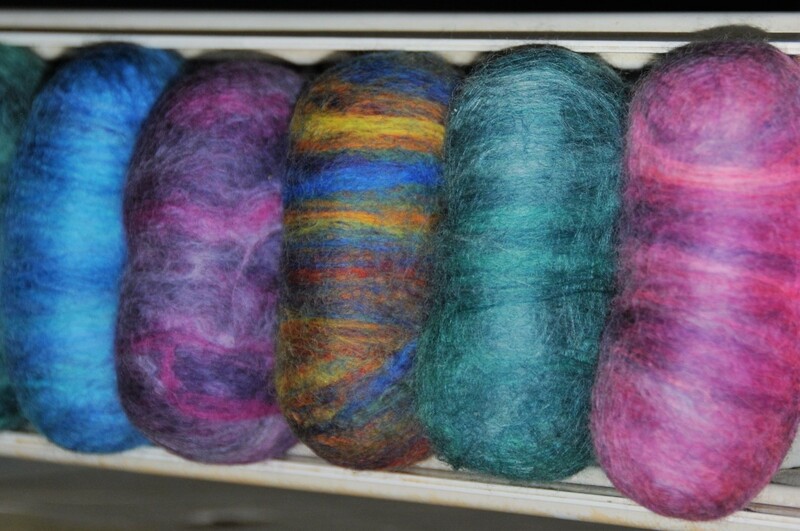 The wool needs to be quite wet to lather well. I look out for soap which is being sold very cheapy at local car boots or thrift shops. Olive Oil Soap or even Dove soap lather pretty well. I appreciate your stopping by to comment, thank you. Hi Sally, your tutorial is great! I made few felted soaps and I love it!! But maybe I do something wrong, I can't get any bubble out of it!! a little lather, that's it...?? Do you know what could it be? Thanks for your help! 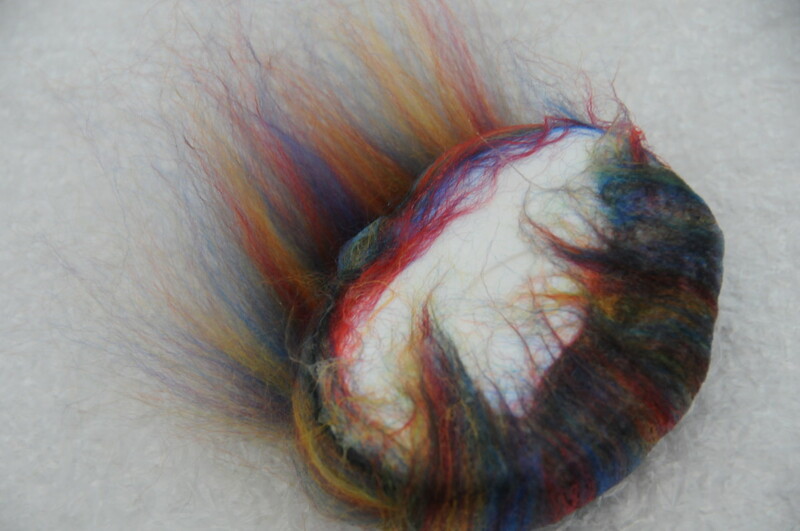 Wet felting is for sure my next hobby! Glad you liked this idea. The end result was excellent and my friends and family certainly enjoyed their gifts at Christmas time. This method certainly saves time and gives a good result. 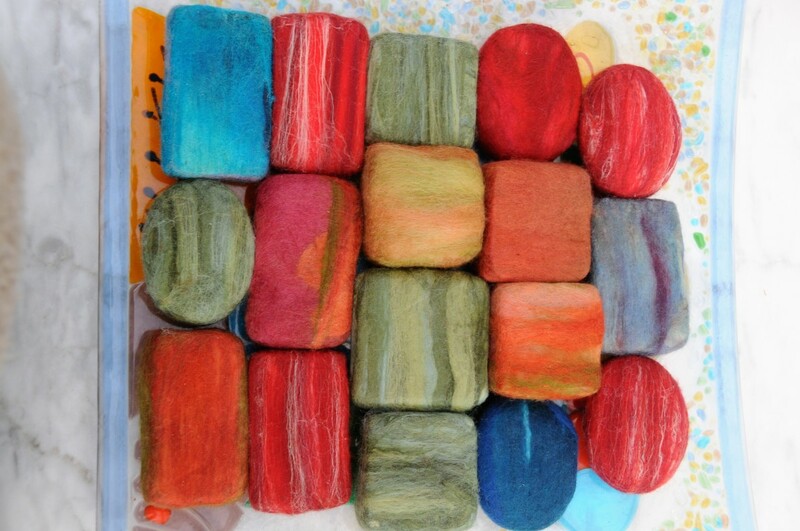 Really love the wet felting soap idea ..hope I can try your method too sometime. Thank you so much, it is kind of you to take the time to pop back to this hub. Congratulations on your HOTD accolade! That was nice of you, thank you so much. I hope you will try it. This really is a fun project and a very rewarding one. Thank you for your very kind words. Back to say congrats on your Hub of the Day award for this neat project that is useful in more than one way! 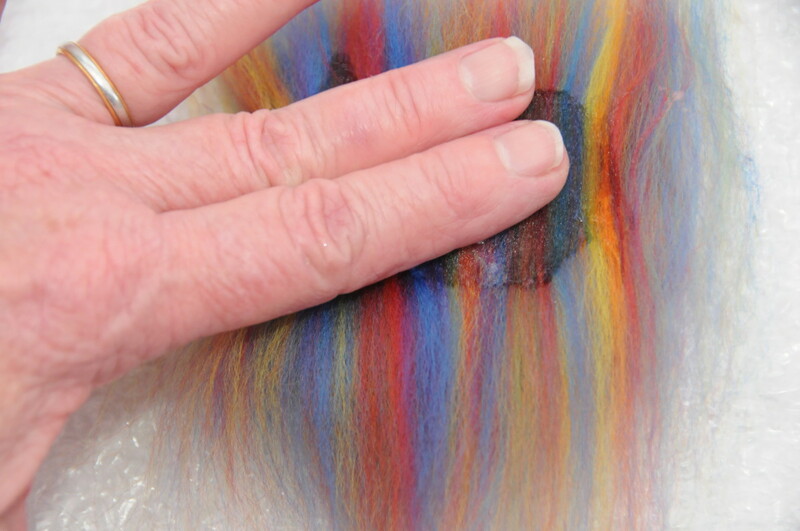 An excellent and very detailed tutorial on wet felting. 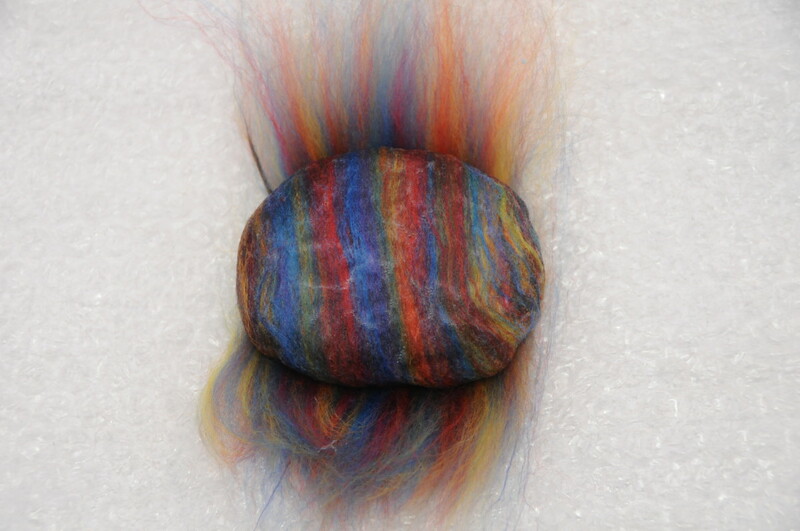 I would like to try this, as well as felting in a tumble dryer, which I fell in love with when I attended an art festival several years ago. The personalized label on the finished soap adds a very nice touch. Congratulations on HOTD - well deserved! Thank you very much. Yes, this is a 'soapy' project - the end result really is worth the time and effort, besides, the soap smells so nice. Your support and encouragement is appreciated as always. Thank you very much. 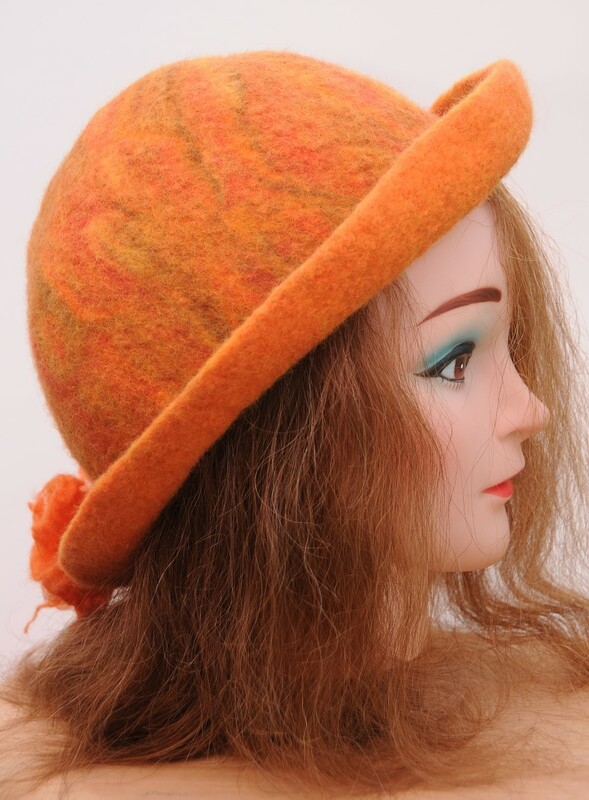 Felting is a fascinating craft, not a predictable one for sure, but a challenge quite unlike any other craft I have ever attempted. I love it. I am glad you enjoyed the tutorial, these soaps make great gifts, something you can prepare beforehand, just in case you need to make an unexpected present to someone. I hope you will come back to explore the many Tutorials I have written. Sally, congrats on HOTD! This is a clever crafty and soapy idea. It looks like fun to do and fun to make. This is an excellent tutorial. I have never heard of this craft until now, but I was curious to read about it. What an intense project! The finished product makes it all worth the time and effort. 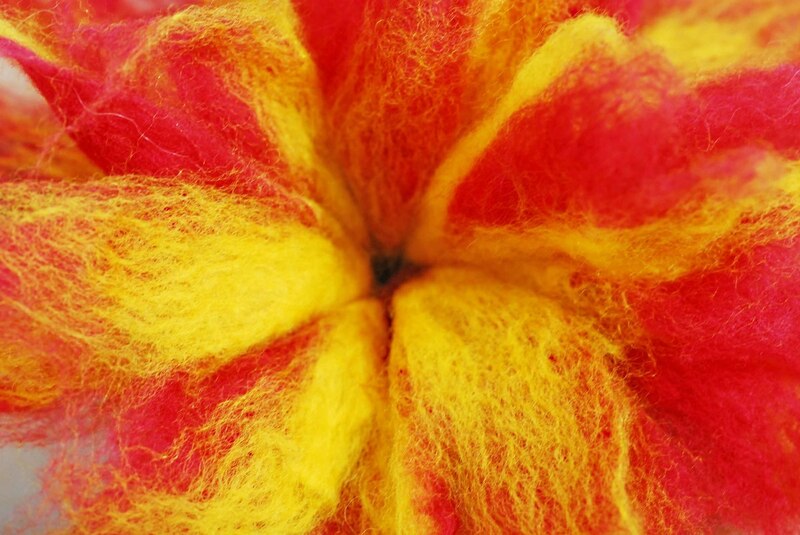 The art of felting is something special, in fact, it is quite addictive. 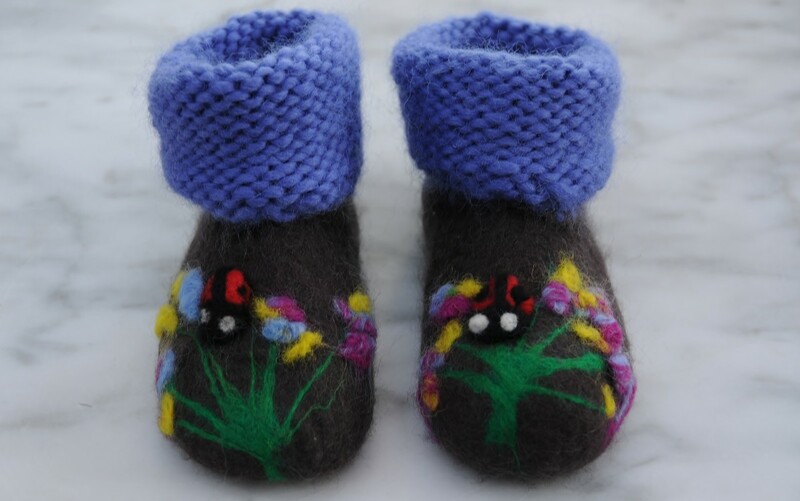 The sky is the limit, you can make anything from booties to fabulous clothing. I hope you give it a go sometime. Thank you for taking the time to comment. Hi sallybea. 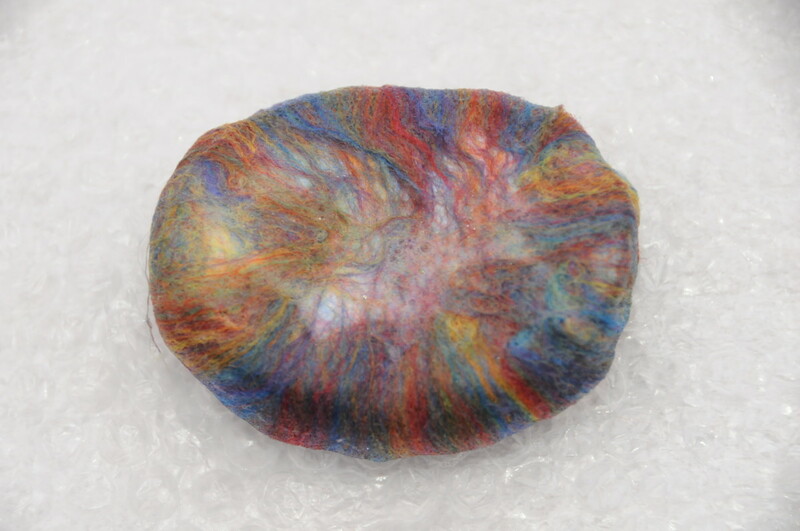 This is my introduction to wet felting soap. I didn't understand the concept at first but I think I get it now. All I could think about is, "won't that merino wool itch when rubbed against the skin?" I did read your reply to Donna which was helpful. Congratulations on a well-done hub receiving another HOTD nod. Excellent tutorial. 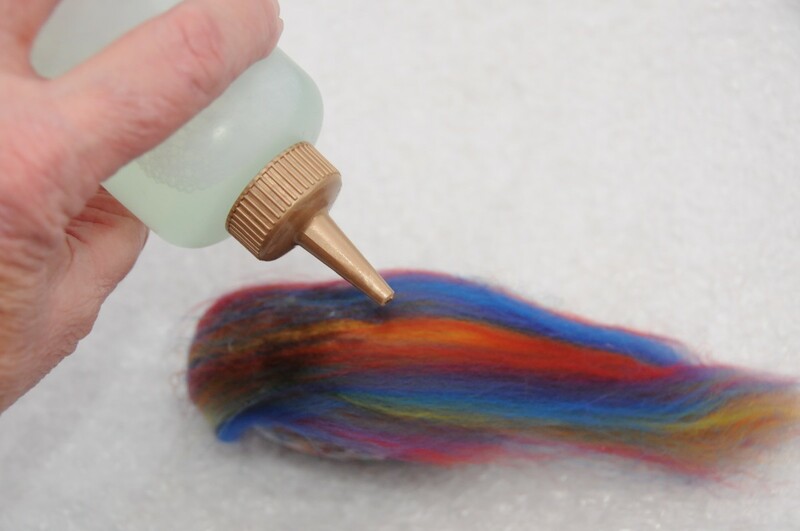 I've never done wet felting but you've made this tutorial so clear that I think I would feel ready to do it. Excellent and clear directions! 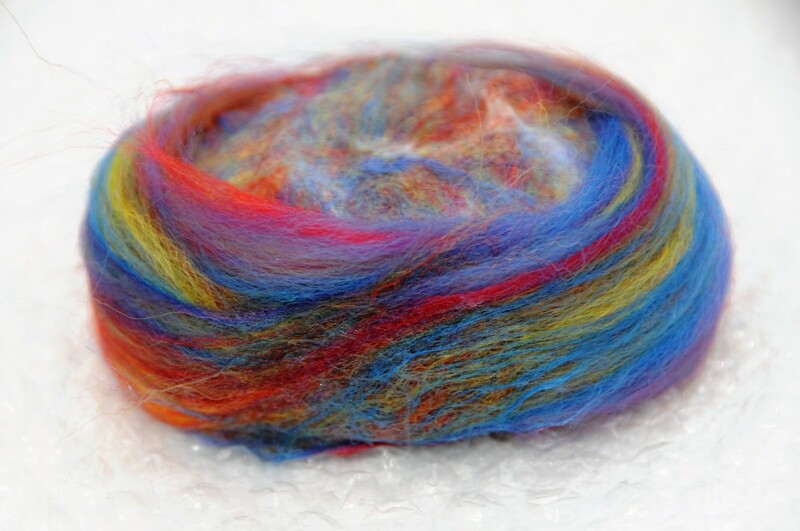 I love doing new crafts and have seen the felting at my craft store but haven't known what to do with it. I may have to try this! Always a lovely surprise to wake up to find I have an HOTD, especially today. Thanks for coming back to comment. Your support is always valued and appreciated. Hi Sally - This is one of my favorite tutorials. Congrats on your HOTD! Well deserved! Thanks for the sweet comment. Not sure if my projects will go viral but one can live in hope:) I do however expect I to reach the 200,000 mark very soon. I hope that your neighbour has had some success with her slippers. Blessings to you. dear Jo. The soaps came out beautifully and I too gave them as gifts for Xmas. The recipients seemed delighted, which made them a very rewarding gifts to give away. I am sure your mother loved hers. Thanks for stopping by and for taking the time to comment. Every visit is valued and very much appreciated. Hi Sally - Happy New Year! This is a great project and as a Christmas present my daughter bought something like this for my mother. It's a lovely gift and using the colors you chose for the pics it's gorgeous! I like this soap idea and the tumble dryer method. Glad you enjoyed this tutorial, Nell. I had fun creating it. Not only do the soaps look beautiful but they do appear to last longer. Nice of you to stop by to comment, thank you. How fascinating! and what a great tutorial. Its something I had never really heard or seen before, so I learned something new! That is interesting, I have seen beautiful hand made cold pressed soaps on eBay while looking for bulk soaps to felt. You are perfectly placed to both sell and these yourself. Try rubbing the wet soaps on bubble wrap to create the same effect if you don't want to use the tumble dryer. How interesting. 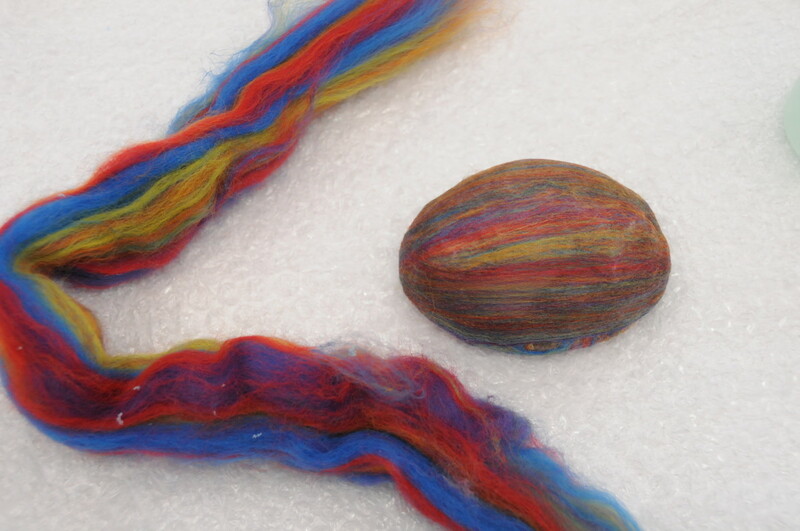 My mother does the fiber arts - felting, spinning, knitting, weaving etc. and I've made handmade soaps for years and we've never thought to put them together :) very detailed hub, one day I'll have to try this. Sally, your mention of income opportunity conjured up the image of a "Sally's Wet Felt Creations," of course with an adjoining apprentice lab (smile, please). I read your comment in which you said you are happy doing what you do, so I'm happy for you too. Just want to register how much I admire your craft. Thanks very much for your kind comment. 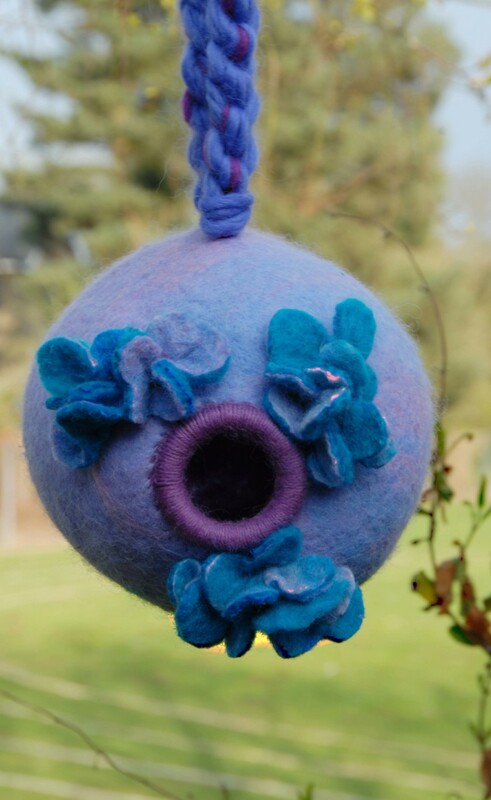 I do like to take a different approach with my felting and it is my hope that by doing this, it will encourage others to look at their felting with an open mind. Incredible! I enjoyed learning from your well-presented hub. Good ideas and with your creative mind you can approach any idea to make it a worthy one. Larry, glad you found this tutorial informative. Very kind of you to stop by to comment, thank you. No, the wool feels quite soft and quite silky against the skin but this does depend on the type of fibers you decide to use. 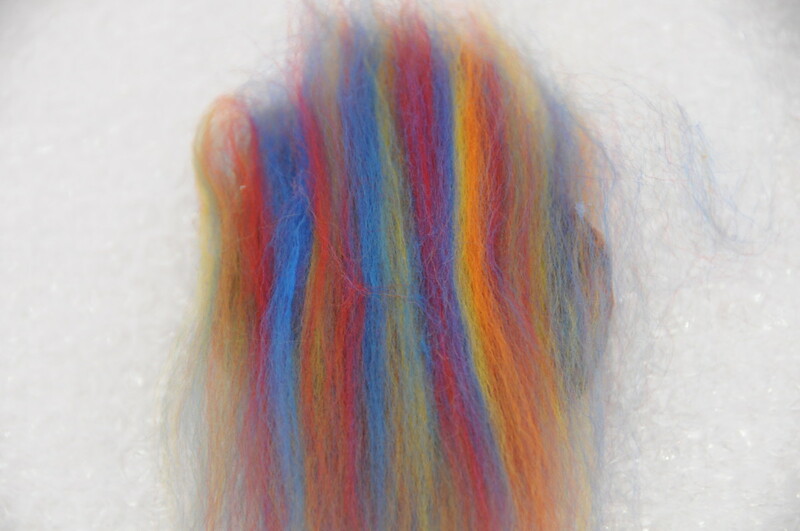 I like merino roving/tops because these fibers felt very easily and of course, the wool comes in such glorious colors. 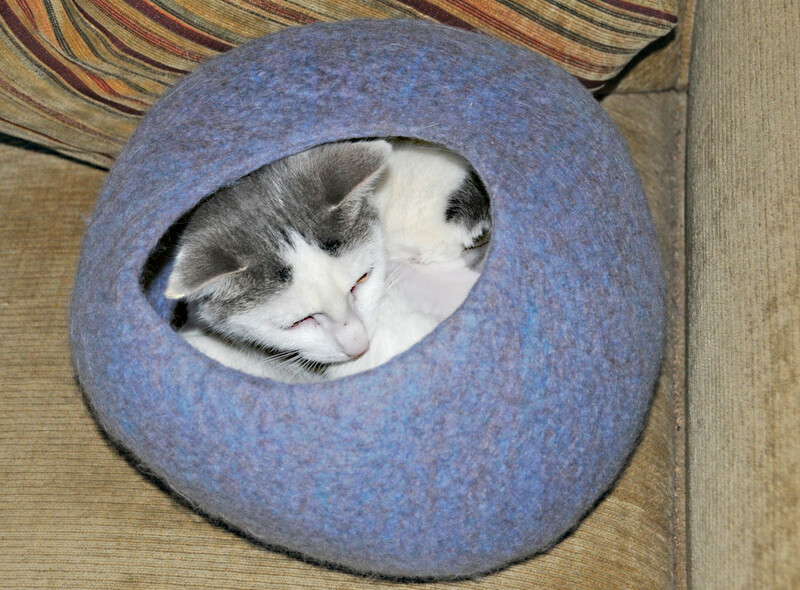 The soap will lather as normal except it will come out through the felt. I have experimented with more expensive soaps. 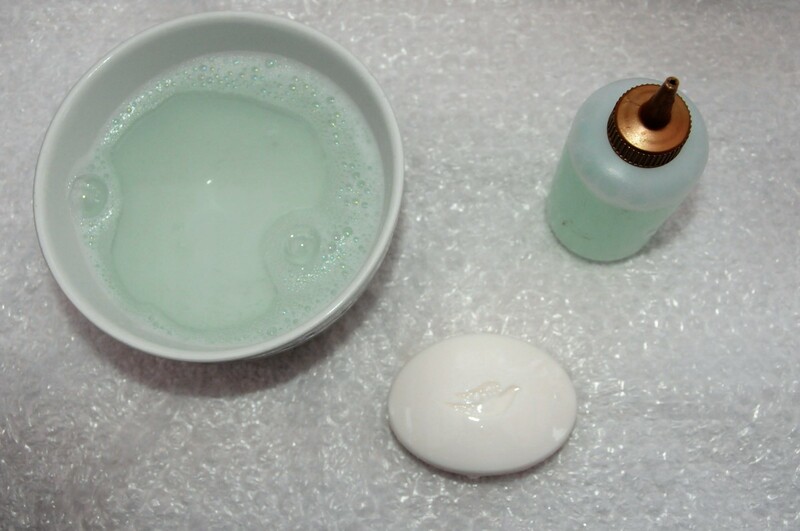 I sometimes buy them from thrift or charity stores when I see them, but I really enjoyed the way the Dove soaps performed in this tutorial. 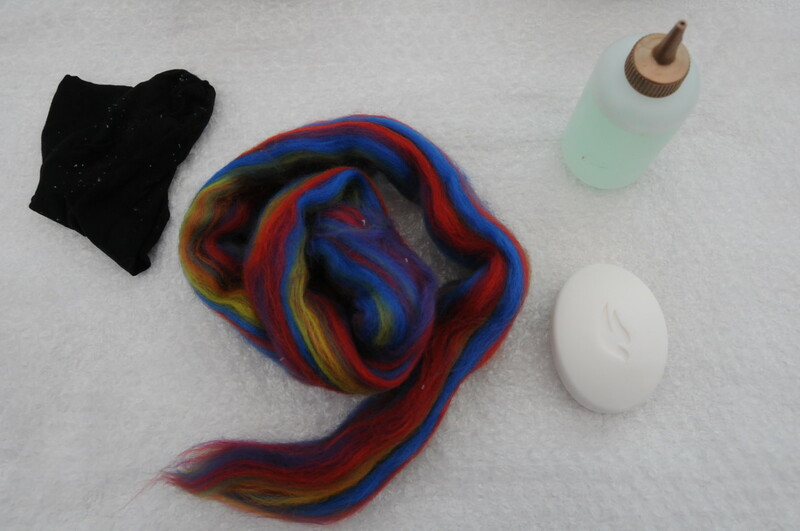 I especially liked the way the soap lathered so easily through the wool. The soaps make lovely cost effective gifts. 2 Dove soaps cost me £1. How little there is that now that one can buy for £1! 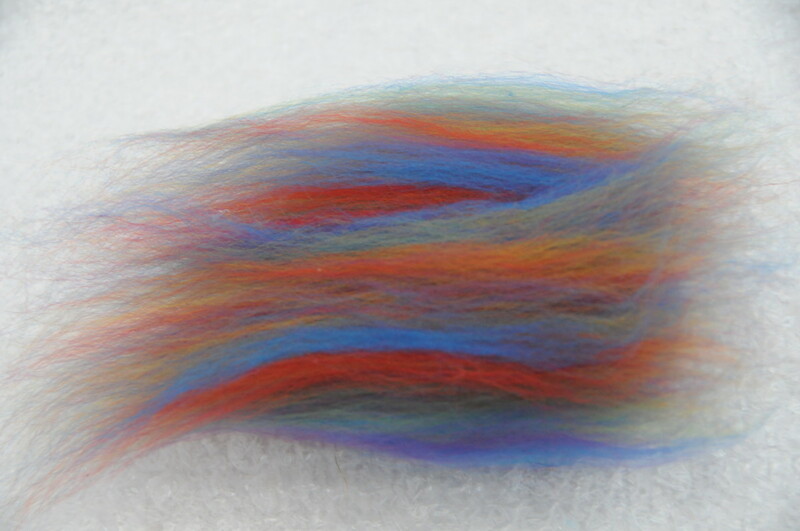 Add to them a few gorgeous fibers and you have something quite special to sell or gift away. The soaps not only look very decorative in a bowl in the bathroom, but they also leave a lovely perfume in the air. I especially like the coconut and lavender soaps which one can buy. Of course, you don't have to use a tumble drier! 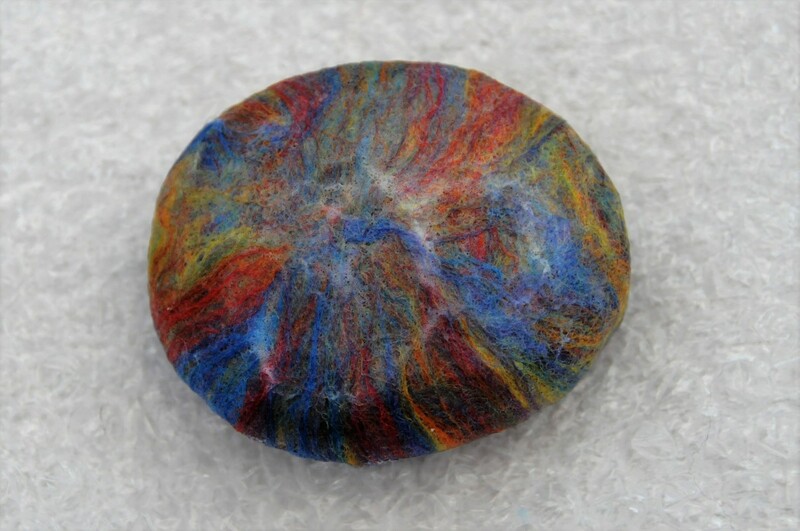 You can always prepare the soaps and rub them on a nice piece of bubble wrap until they are felted all the way through. Give it a go, I think you will enjoy this project. 1. When washing with the soap in a sweater, is the felt rough against your skin? 2. After the soap has been used up, can you use the felt for anything? Or is it too soapy to be used for a different project? You are so kind, fancy, that, you keep these in a folder! You really are so much more organised than I am. I have begun looking at your e-book suggestion. It took me down the road to some thoughts about a kindle edition! With a little research, I discovered I could have a kindle app on my tablet, things are beginning to look very interesting. You have a great weekend and I hope the sun shines for you, Billy. Thank you so much for your valued support, it is appreciated. Thanks for sharing this very cool method. Your tutorial is clear and easy to follow. Really, such a great idea for gifts! 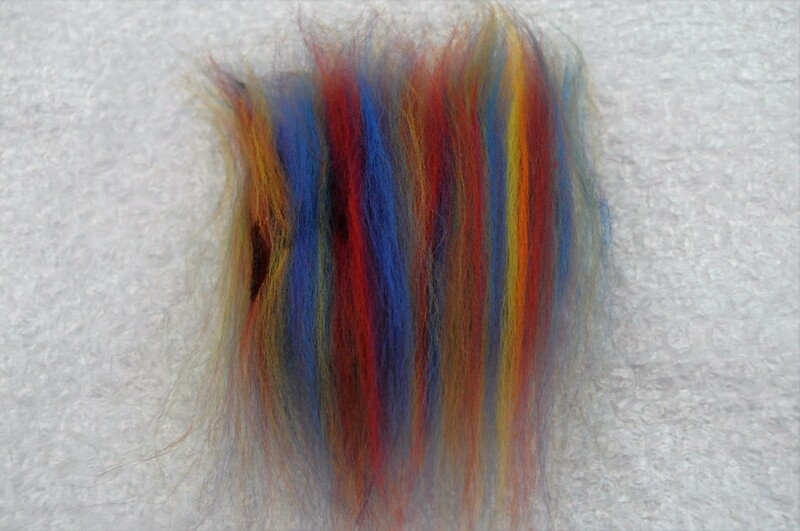 Sally, if I knew anyone who wet felted, I would share this and all of yours with them. As it is, I keep them in a folder and wait for that day when someone I know mentions this craft. Well done as always.